I decided to open the mix with “Come Pick Me Up” from 2000’s Heartbreaker, a slow burning song of a jilted lover who can’t get enough of this woman, even though she causes him pain. It also features some killer harmonica throughout and at the end, which transitions perfectly into the opening harmonica on my second track, “Firecracker”, from 2001’s Gold. The next three tracks fit together more or less dealing with Adams’ romantic relationships. “Hallelujah” off 2002’s Demolition, not to be confused with the epic Leonard Cohen song of the same name (famously covered by Jeff Buckley). “My Winding Wheel” comes from Heartbreaker, and “Answering Bell” is from Gold. The next track is “To Be Young” from Heartbreaker. The song was adeptly described by Stephen Byrd of Pitchfork as “misleadingly upbeat.” The song sounds happy, yet Adams sings “When you’re young you get sad.” I can’t relate to the other piece Adams talks about as I’ve never gotten high, but a good song is a good song. And this one is a blast to sing along to. Track 10 delivers a stark shift in tone. “Wish You Were Here”—not a cover of the Pink Floyd hit—opens with distorted electric guitar, quickly introduces profanity and pretty much sounds like punk rock in slow motion for the first 1:45 before getting louder, faster, and invoking drugs. Track 11, “Note to Self: Don’t Die” turns the noise up to 11. Fittingly, after not dying, track 12 is “So Alive.” Tracks 10-12 all come from Adams’ 2003 album, Rock N Roll. And yes, they are undoubtedly the three most rocking tracks included in the compilation. Track 13 is “Halloweenhead” from Easy Tiger. I still don’t really know what a “halloweenhead” is, but I sang this song to Jessie incessantly one Halloween. She hates it, and I love it. Track 14, “The Sun Also Sets” also comes from Easy Tiger, but it’s not about Halloween, so I’ve got nothing more to add. Emmylou Harris stops by to help out and crushes it on “Oh My Sweet Carolina.” Adams sings of regret and what he’s left behind. The line, “I miss Kentucky and I miss my family” always hits me particularly hard because I’m always away from one or the other when I hear it. I like the combination of tracks 17 and 18. “Please Do Not Let Me Go” from 2004’s Love is Hell sadly ends with “Crossed Out Name” from 2008’s Cardinology. I think “The Shadowlands” from Love is Hell is the most haunting track on the compilation. The first part of the song is just a somber piano and Adams’ voice. At the 2:40 mark, strings, guitar and drums join in and the song ends on a much more upbeat note than it began, but the lyric that stands out is the repetition of “most people never find a love.” It makes me realize how fortunate I am to be in the relationship I am. 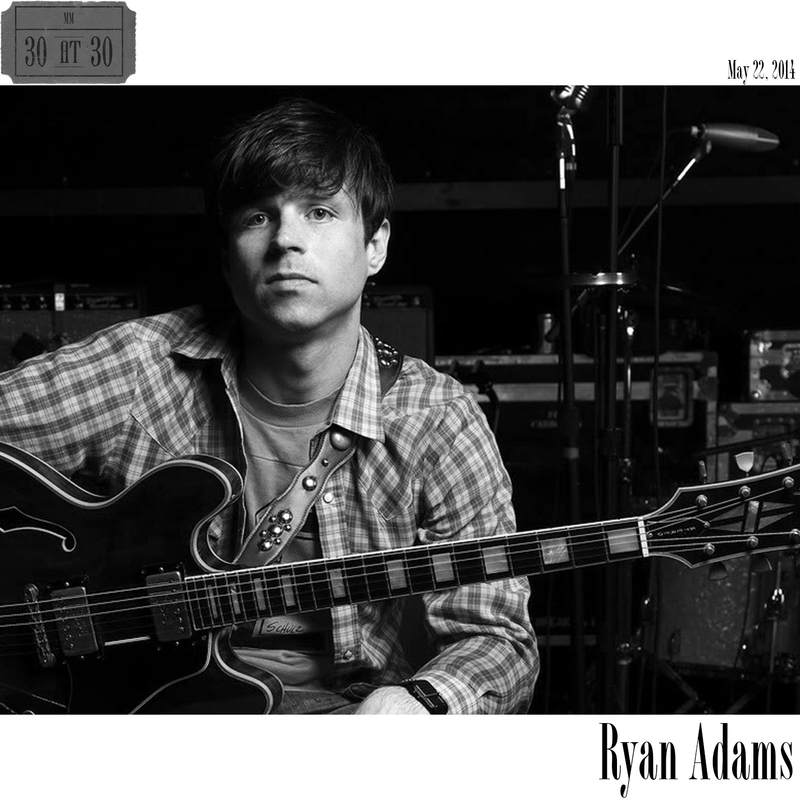 Ryan Adams has so many songs of heartbreak and relationships gone awry. They’re tremendous songs, and they help illuminate just how good I have it. The final track is “Tomorrow”, which is about a different kind of loss. In 2002, Adams said, “I wrote that with a friend of mine, a playwright called Kerry Hamilton, who has since died of cancer. I was living in Room 1034 at the Hollywood Roosevelt, and it was written the day before she was going back to Colorado. It was the last time I was to see Kerry healthy. I’m still going through it and I haven’t been able to touch it in a song.” It’s a beautifully sad song, which this compilation has shown is something Adams does about as well as anyone.